Life is a highway, right? A video has surfaced online of a man in a wheelchair grabbing onto a blue truck on the highway, hanging on for dear life. The truck is seen to be driving in the middle lane on the highway. At one point, the truck drives really fast and the wheelchair-bound passenger pushes himself away from the truck and ’takes the offramp’ to the left! 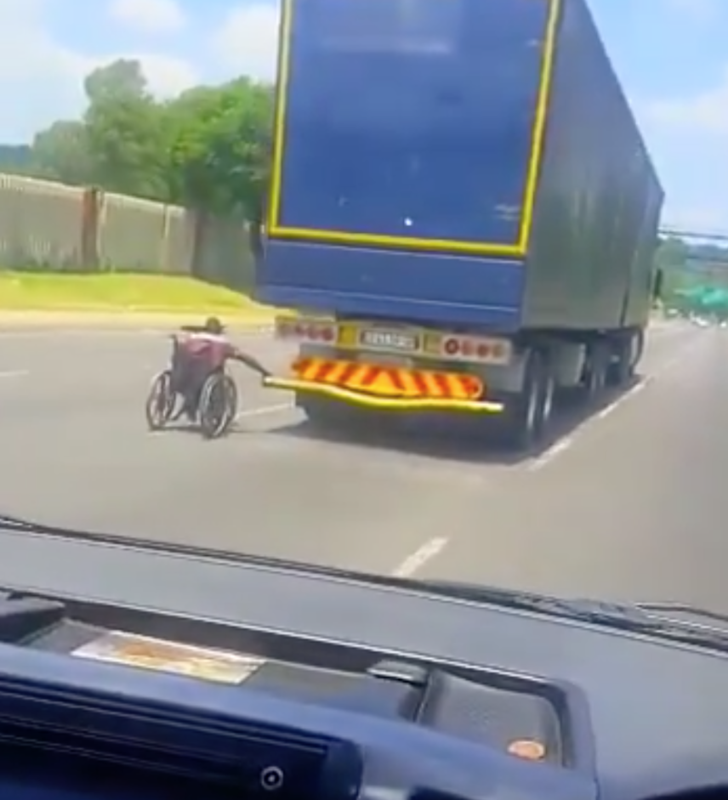 Another video came to light of the ‘wheelchair man’ holding on to another truck in Pretoria.